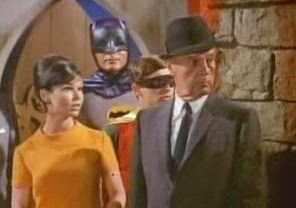 In the episode "The Bat's Kow Tow," Commissioner tells Bruce that his grandchildren told him he needed to go see Chad & Jeremy. How is that possible when Barbara is his only child? This is an easy one to answer. Barbara was his only child by his wife at that time. He must have been married before, or he had at least one other child outside of his marriage. This child, as of 1966, was grown up and had several children whom Gordon acknowledged as his grandchildren. This splainin only works for Earth Prime-Time. It has nothing to do with the "Batman" legend in Evil Toobworld, as seen in 'Gotham' and it's definitely disconnected from the universe of Comic Books. I will have so much more to say about the passing of Leonard Nimoy in future posts - his League of Themselves appearances, the contribution of Mr. Spock in the greater TV Universe, film clips and more. Terry Becker (August 5, 1921 – December 30, 2014) was an American film and television actor, Emmy-winning director and producer. 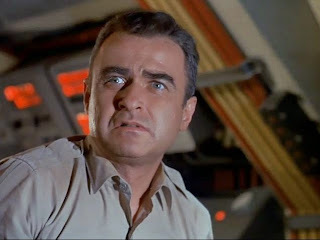 He is best known for his role as Chief Francis Ethelbert Sharkey in seasons 2 through 4 of the television series 'Voyage to the Bottom of the Sea'. 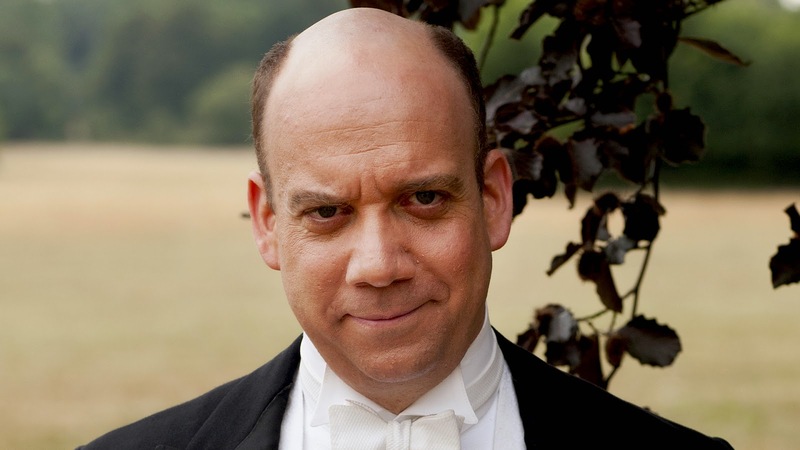 Becker took the role after the death of actor Henry Kulky, who had played the submarine's Chief (Curly Jones) during the first season of the series. Terry Becker also made two guest appearances on 'Perry Mason'. In 1958 he played murder victim Philip Larkin in "The Case of the Prodigal Parent", and in 1960 he played Prosecuting Attorney Everett Ransome in "The Case of the Violent Village." Becker's work behind the camera began with the TV series 'Room 222,' on which he was associate producer. He also directed eight episodes of the series. Becker went on to directing assignments on many other TV series, including 'Mission: Impossible', 'M*A*S*H', 'Love, American Style', 'The Brady Bunch' and others, plus a motion picture, "The Thirsty Dead", which he also produced. In 1973, he partnered with actor Carroll O'Connor to form O'Connor-Becker Productions. In 1983, the partnership split up and Becker continued producing as a solo producer under his own Becker Productions and Becker Enterprises banners. 'Voyage To The Bottom Of The Sea' was set about ten years into the future from its time of broadcast, which would mean many of the episodes occurred around the mid-1970s. This means that Chief Sharkey is ten years younger than Terry Becker. I'd like to think this guarantees the Chief to be still alive in Toobworld until 2025. Francis Ethelbert Sharkey is also the brother to career Navy man Otto Sharkey who was a Chief Petty Officer stationed in San Diego. So O'Bviously both Sharkey brothers pursued maritime careers; Chief Sharkey probably started out in the Navy and then retired to take the job with the Nelson Institute. 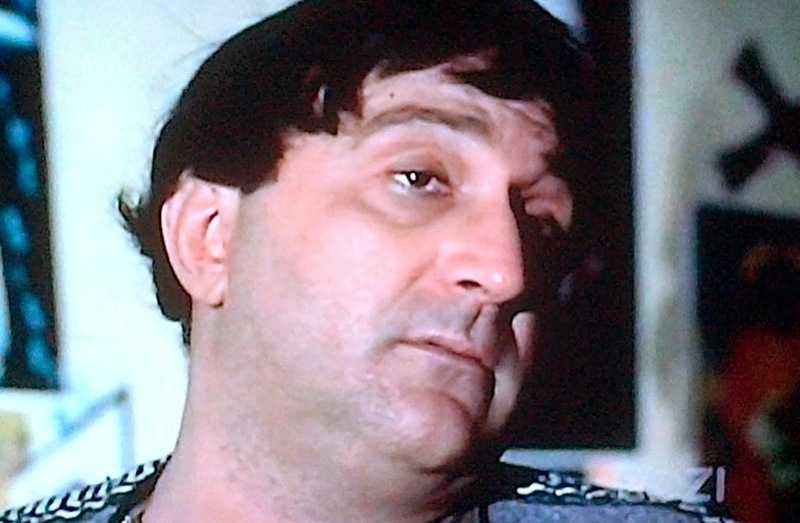 When you look through the cast list for this episode, you'll see Al Molinari - legendary for playinng Murray the Cop ('The Odd Couple') and Al on 'Happy Days' - listed as being uncredited for the episode. He's uncredited because he's not even in it! At best he could have played Al Molinari's brother. The Aveleyman site has a page dedicated to pictures of Fabian Dean, but they don't have this episode even listed among his credits. Dean was born in the same year as my Dad, 1929, but he died relatively young in 1971. As we all (should) know, Toobworld is different from the Real World - they have aliens and androids, talking animals, talking food, extra nations on the map. The quagga (Equus quagga quagga) is an extinct subspecies of the plains zebra that lived in South Africa until the nineteenth century. It was long thought to be a distinct species, but genetic studies have shown it to be the southernmost subspecies of the plains zebra. It is considered particularly close to Burchell's zebra. Its name is derived from its call, which sounds like "kwa-ha-ha". The quagga is believed to have been around 257 cm (8 ft 5 in) long and 125–135 cm (4 ft 1 in–4 ft 5 in) tall at the shoulder. It was distinguished from other zebras by its limited pattern of primarily brown and white stripes, mainly on the front part of the body. The rear was brown and without stripes, and therefore more horse-like. The distribution of stripes varied considerably between individuals. Little is known about the quagga's behaviour, but it may have gathered into herds of 30–50 individuals. 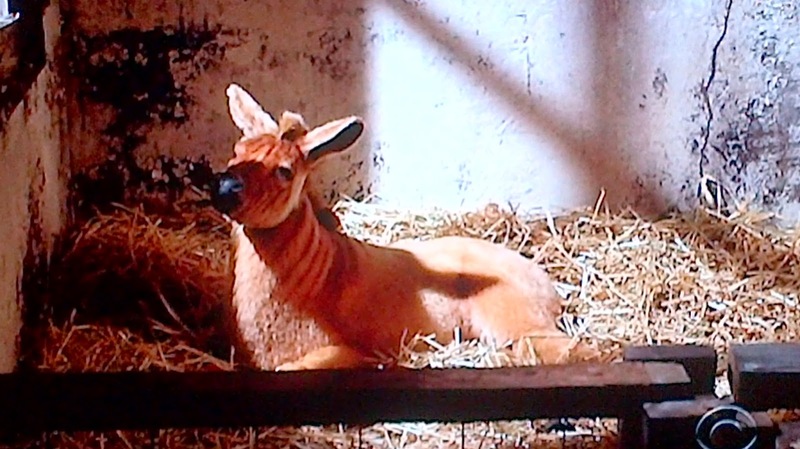 Quaggas were said to be wild and lively, yet were also considered more docile than Burchell's zebra. They were once found in great numbers in the Karoo of Cape Province and the southern part of theOrange Free State in South Africa. Since Dutch settlement of South Africa began, the quagga was heavily hunted as it competed with domesticated animals for forage. 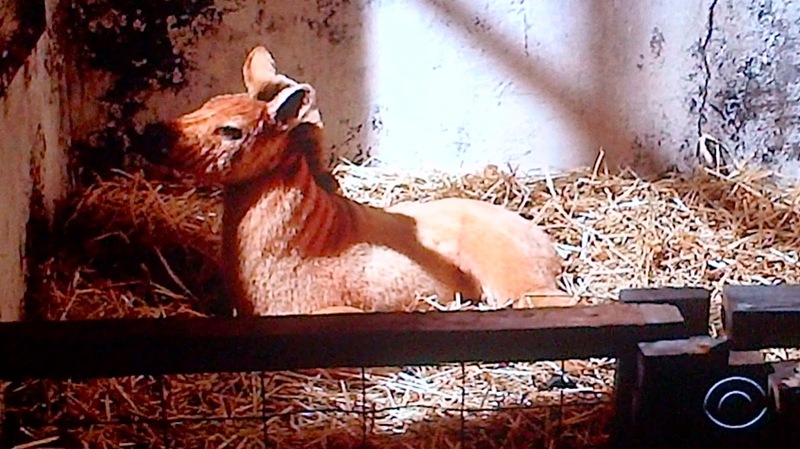 While some individuals were taken to zoos in Europe, breeding programs were not successful. 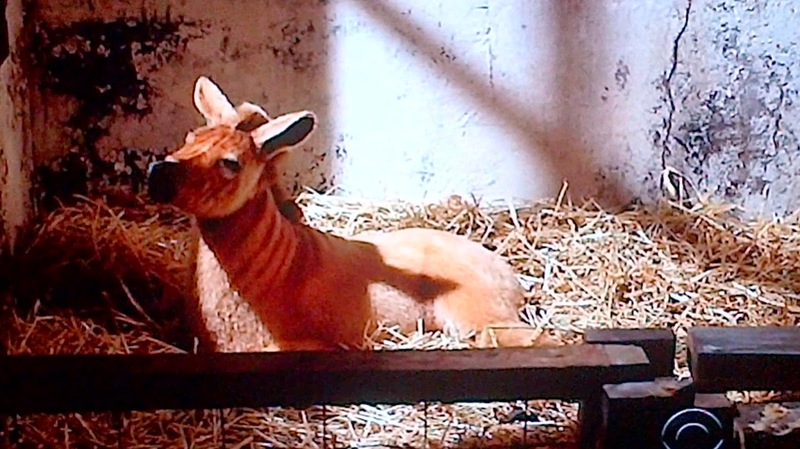 The last wild population lived in the Orange Free State, and the quagga was extinct in the wild by 1878. The last captive specimen died in Amsterdam on 12 August 1883. Only one quagga was ever photographed alive and only 23 skins are preserved today. In 1984, the quagga was the first extinct animal to have its DNA analysed, and the Quagga Project is trying to recreate the phenotype of hair coat pattern and related characteristics by selectively breeding Burchell's zebras. For even more on this lamented beastie, click here. 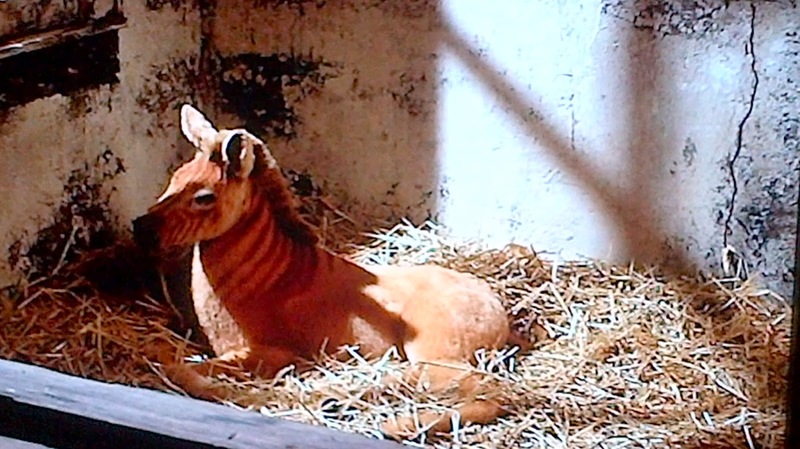 The 'Elementary' episode didn't elaborate on what was the fate of the two baby quagga, and I'm hoping that they were a boy and a girl so that they could be bred to revive the species on that world. Back in the 1970s, Sid and Marty Krofft were the kings of Saturday morning live action programming for kids. 'H.R. Pufnstuf', 'Liddsville', 'Land Of The Lost', and 'Sigmund And The Sea Monsters' were their biggest shows during that time. And now the Kroffts are hoping to bring back 'Sigmund', thanks to a development deal which they've signed with Amazon Studios. 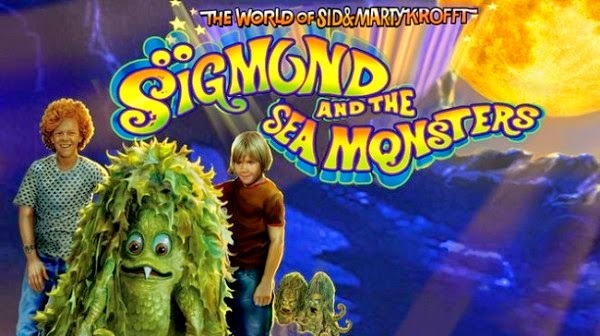 Sid and Marty have agreed to produce a pilot that updates and reimagines the character of Sigmund and the Sea Monsters. I'm hoping, probably against hope, that this will be a continuation and not a complete reboot. If they want to bring back Sigmund, that's fine. Hopefully looking as he did back in the 1970s, but shouid he be digitized or his look revamped, I'm sure that can be splained away. After all, it's a living puppet type of character, and being a "sea monster" some techno-babble could be employed. I'm just hoping that they come up with new characters for the humans who interact with Sigmund. They shouldn't be updated recastaways of the kid, the housekeeper, and the old lady who were played by Johnny Whitaker, Mary Wickes and Margaret Hamilton respectively. Lady Cora Crawley, of 'Downton Abbey', had a brother named Harold Levenson who was heir to their father's dry goods empire in the United States (even though their mother Martha was the real power in the family dynasty.) He came over to England to visit his sister at Downton in 1923 and lamented the fact that he had yet to settle down. 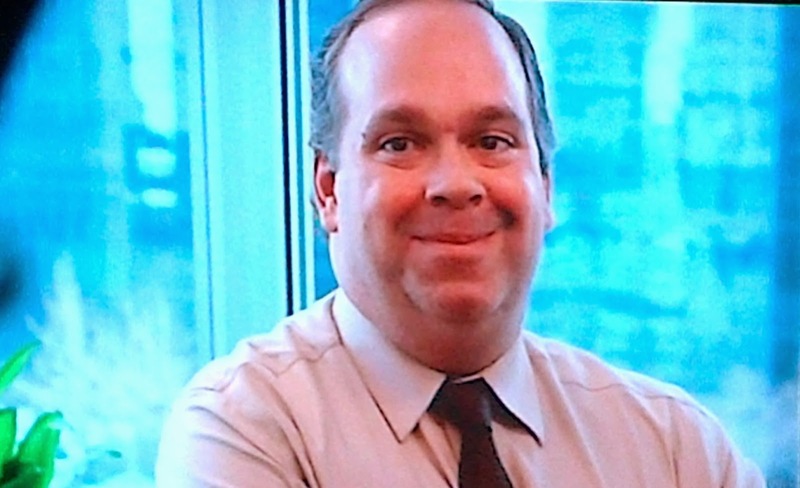 I believe that he had several children, one of them at least being a girl whom I think married a man named Stegg who moved his family to Chicago. Among their children, probably their youngest, was a son named Barry. Barry Stegg was questioned by the Chicago P.D. about one of his co-workers, Adrian Gish, whom they suspected to be a thrill-seeking serial arsonist.